Amy has been with Rivers of Recovery since 2009 and is responsible for operations, as well as implementing the program curriculum. A certified yoga instructor, Amy has received specific training in Post-Traumatic Stress Disorder (PTSD), working closely with Glenn R. Schiraldi, Ph.D., to implement the teachings of his book, The Resilient Warrior. 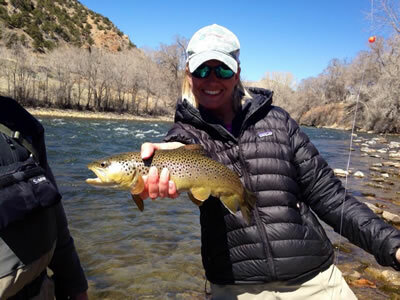 Amy develops key relationships between Rivers of Recovery and executive leaders across the nation in order to locate participants in need of the camaraderie and resiliency benefits offered by the program. Before joining ROR, Amy worked with real estate investors in the Phoenix area and was active in her community coordinating and raising funds for the local school district as well as working as a volunteer with Hospice of the Valley. In addition to her involvement within her area, Amy has also been dedicated to raising funds and coordinating activities for an all-girls school in Kenya, Africa. Amy graduated from Central Washington University and holds a Bachelors of Science majoring in Family Studies. Jose joined the army as a cannon crew member and did his basic training at Fort Sill in Oklahoma. Upon completion of that training he was stationed in Camp Hovey in South Korea where he served with A 2/17 Field Artillery. In August of 2004 they were deployed to Ar Ramadi, Iraq. On April 16, 2005 a 122-mm rocket struck their howitzer, out of the four man crew Jose was the sole survivor. From Ar Ramadi Jose was flown to Germany where he was stabilized before being sent to Brooke Army Medical Center (BAMC). Jose sustained 3rd degree burns over 75% of his body, lost most of his fingers on his left hand and most use of the right. Given just a 3% chance of living, after nearly a year in the hospital and over 70 surgeries he was able to beat the odds. 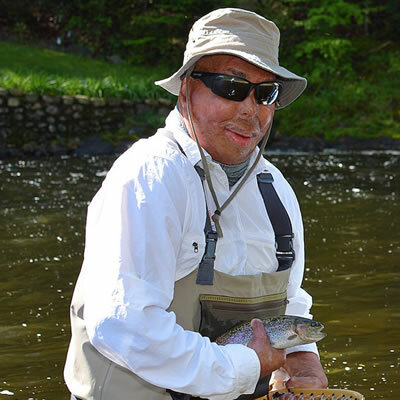 In the fall of 2013, Jose was able to attend his first fishing trip with Rivers of Recovery. He had returned home in 2007 and since being home never tried to reconnect with anything military related. Jose expressed that the camaraderie from the first day was as if he had never left the military. Hearing and sharing stories helped him know there were others going through very similar situations and it was the most normal he’d felt since returning home. Since attending his first trip Jose volunteered a few times and is now the full time trip manager for each camp. Two days after turning 17, Levi Crawford fulfilled his dream to serve his country by joining the U.S. Army National Guard as a Combat Engineer–beginning his training while finishing high school. After graduation, he went to Fort Leonard Wood for basic training and AIT. Levi’s unit was deployed to Iraq in 2006-2007 with the mission of finding roadside bombs. Levi was the lead gunner during his time in Iraq, operating a 50-caliber machine gun. His unit was credited with finding more than 500 explosive devices. When he returned stateside after his first deployment, Levi went to several military schools to further his career. His unit was deployed to Afghanistan in 2009. On May 20, 2010, Levi was hit with a Rocket Propelled Grenade. The explosion sent shrapnel from his knees up to his face. It left him temporarily blind, although he regained sight in one eye. He also suffered from nerve and muscle damage to his arms and legs, traumatic brain injury and PTSD. His injuries to his right arm were severe enough that he almost lost it, but fortunately it was saved thanks to successful limb salvage surgeries. After nearly a year in Walter Reed, Levi made a miraculous recovery and is now dedicated to continuing to serve by helping his military brothers and sisters who suffer from combat-related mental and physical injuries. 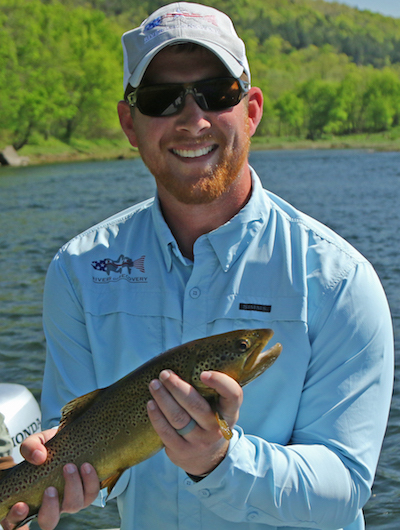 He currently serves as the Rivers of Recovery Marketing Director and recently expanded our program to his native Arkansas for the region’s veterans. Before founding Rivers of Recovery, Dan spent 15 years in the financial industry as a proprietary trader of currencies, energy commodities and derivative products for large, multi-national corporations such as AIG Trading, Duke Energy and Shell Oil. In 2006, Dan left the industry and embarked on a 27 month, solo around-the-world odyssey. This 75,000 overland journey garnered media attention in a number of national publications and served as a springboard for the creation of Rivers of Recovery in 2008. After personally funding the first 2 years’ programs, Dan has overseen expansion to seven states in 2012. 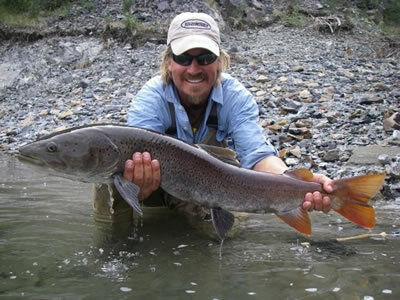 In addition to serving as Executive Director, Dan has undertaken numerous veterans support initiatives, from an arduous 3,500 mile solo rowing trip down the Missouri & Mississippi Rivers to raise awareness of disabled veterans’ issues to personally accompanying disabled veterans on trips to epic fishing destinations in Argentina and Chile. Dan graduated from The George Washington University with a major in Finance.